A discovery of landscapes and nature in the Camargue. These visits take you in different parts of the site to the discovery of livestock and wildlife in the Camargue. For the little ones, pony rides will also be proposed. For a childs first contact with a pony its nice to familiarize with the animal a few minutes before the ride. The child can then go for a ride with an adult. A one-hour horse ride that invites you to discover the typical natural habitat of the territory. Tradition and contemporary art meet at the Cabanataù, a guardian’s hut surmounted by the head of a bull. A small herd of mares run through the meadows and sansouïres where the saladelle grows, an emblematic plant of the gardian and the Camargue. The ride is open to all, and its a place to share a convivial moment with family. 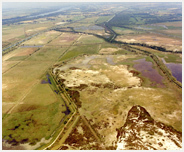 This route, reserved for riders, flows through the marshes where a herd of mares graze with their foals of the year. 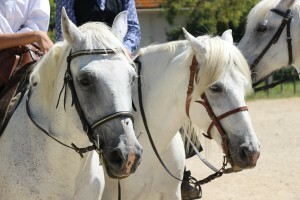 The guide, a true passionate but also breeder of Camargue breed horses, will explain all about this local breed, its uses but also its traditional harness. An immersion in the Camargue landscapes which continues by the observation of a herd of Morucha breed bulls (unique in France). A true stroll that will adapt to the level of the riders present and offer an unforgettable experience.